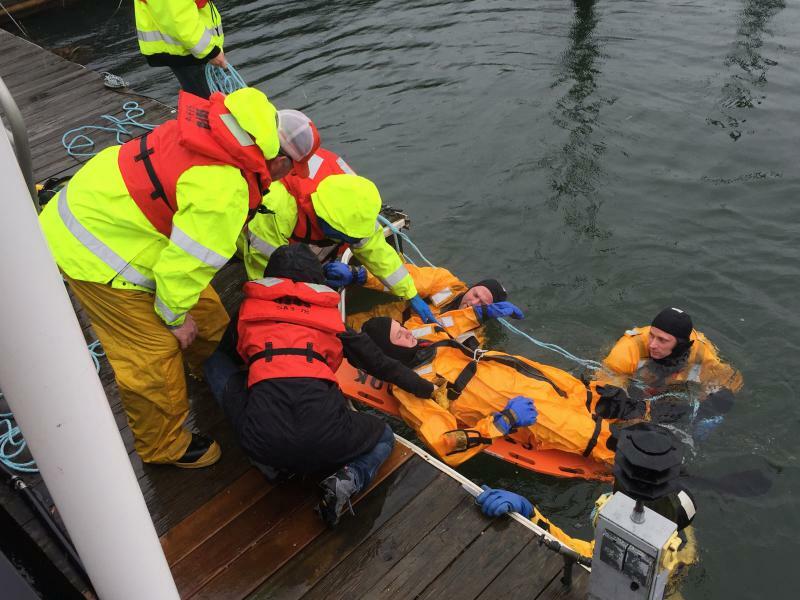 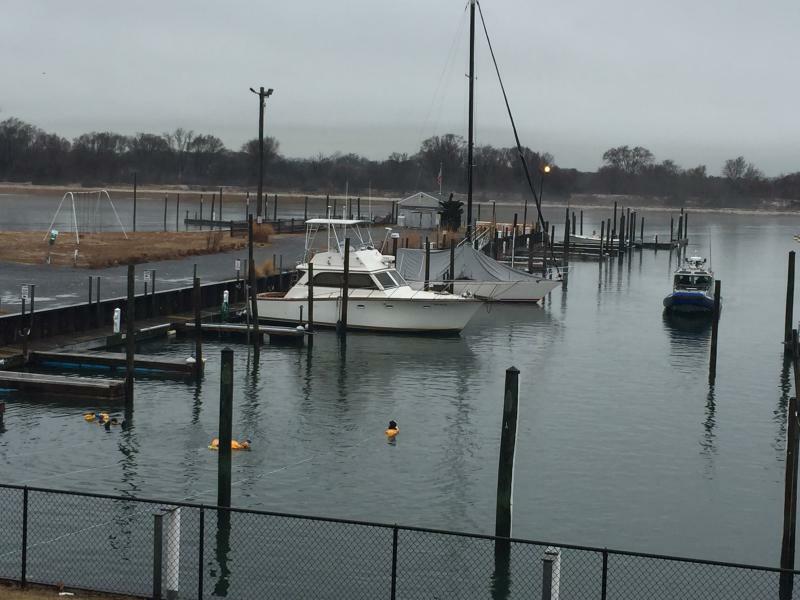 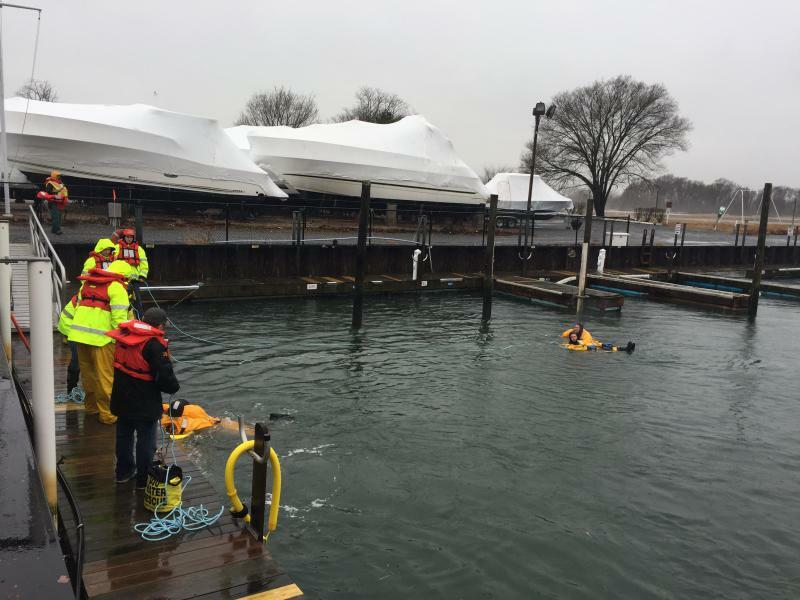 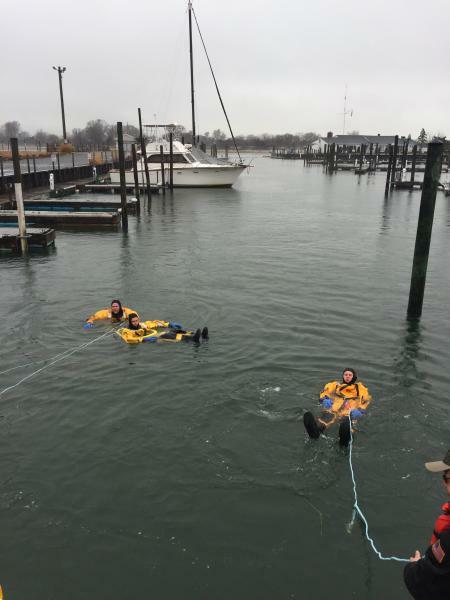 On Sunday morning, Feb. 11th 09:30, members of the Stony Brook FD conducted a cold water rescue training at the marina of the Stony Brook Yacht Club. 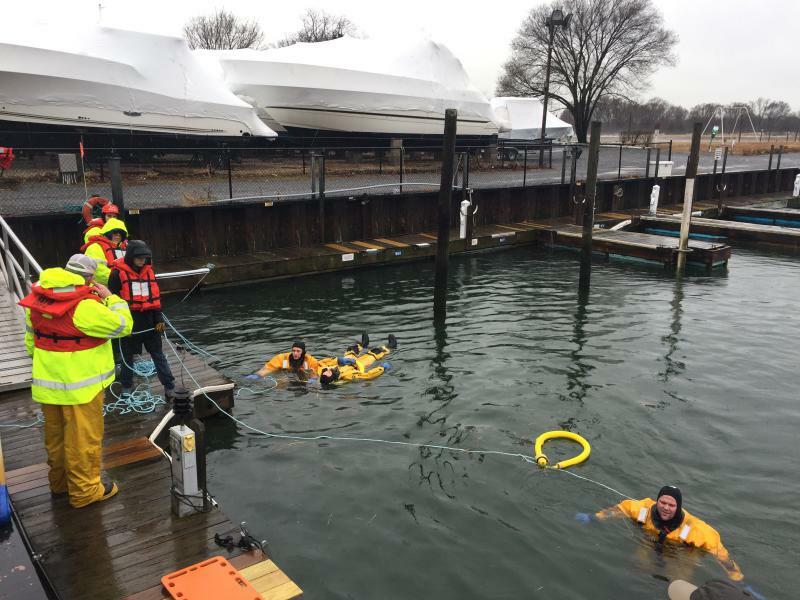 Members practiced rescue techniques while wearing Mustang suits, which is a special type of waterproof dry suit that protects the wearer from hypothermia while immersed in cold water. 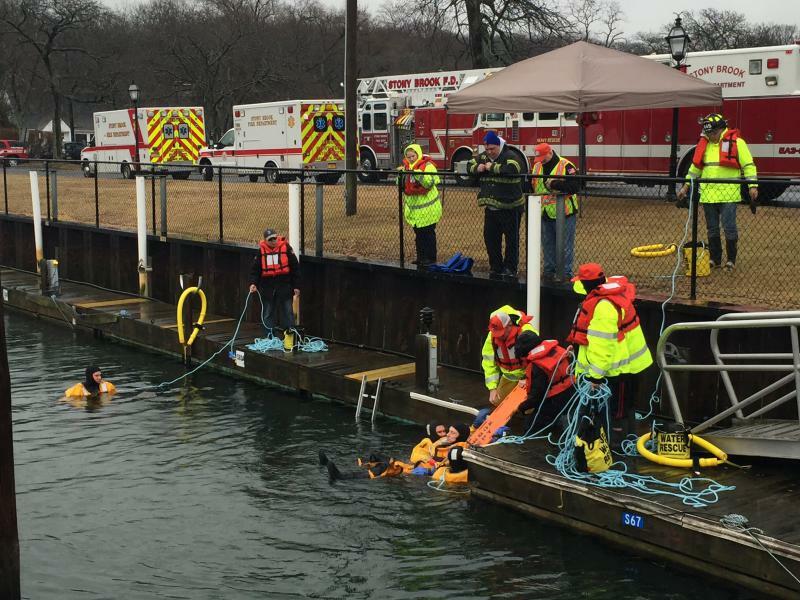 Pictures and story by Nicholas Simonsen 2nd Lieutenant Hook & ladder Company.